Reports are now coming in that an emerging digital media platform, NayaDaur, led by progressive Pakistanis accommodating diverse views has been blocked from viewing in Pakistan. When trying to visit the website using a Pakistani ISP, the domain name simply doesn’t resolve while the website is perfectly accessible from outside the country. Censoring a platform like this one makes no sense. It isn’t any other unfiltered blog site but a platform that carries meaningful conversations and debates in a civil manner. Oops, I guess that’s exactly what got it into trouble. The past few months have been particularly distressing for open discourse and debate in the country. The state is acting as a control-freak who would shut down any voice it does not like to hear. But now is not the time to give in. It’s time to resist and it’s time to push back! I reject and condemn censorship of NayaDaur and urge you to do the same. Let us freely talk, engage and debate issues. 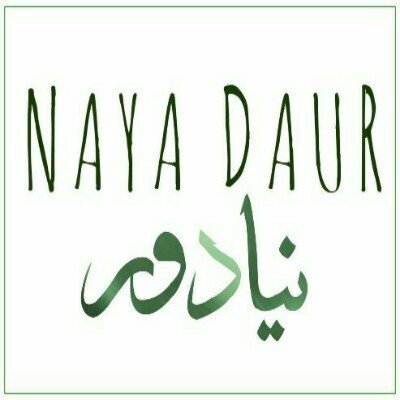 UNBLOCK NAYA DAUR RIGHT NOW!